West Ham chief David Sullivan has ruled out the sale of Felipe Anderson this summer despite valuing him at double what the club bought him for in 2018, according to Sky Sports. 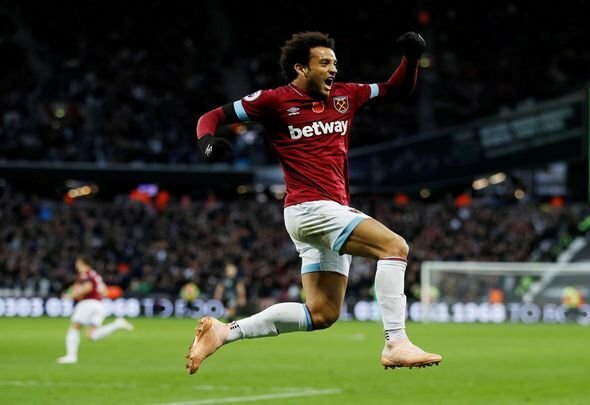 The broadcaster claim on their website that the Brazilian ace, who joined the Irons for a reported initial £35million, is set to remain at the London Stadium for next season despite interest building from Spanish giants Real Madrid. It is stated that Sullivan now rates the 25-year-old at £70million, double their initial spend to seal his signing from Lazio, but is not open to selling him regardless of what offers come in. Anderson was one of the big name signings which were made to mark a new chapter for West Ham but things have not gone to plan – although that is not really the Brazilian’s fault. While he might have struggled for form during the second half of the season, so has everyone else in the Hammers’ starting XI, and his previous performances for the club, which garnered nine goals and five assists, prove that he has what it takes to be a big name in the Premier League. You would have to question where he has done enough to warrant the doubling in value that Sullivan has reportedly put on his head but at the same time, it is likely a tactic to ward off any suitors for his signing. Anderson is more than just a talented player for West Ham, he is a demonstration of their ambition for the future and if they end up selling him after just a season, it hardly reflects well on the club. Only time will tell whether Sullivan can stand his ground this summer should the likes of Real Madrid come calling.